Chemical substances that improve the visibility of specific organs, tissues or blood vessel during a diagnostic imaging investigation are known as contrast agents. These substances are administered directly through veins, arteries, and joints or consumed orally. X-ray and computed tomography (CT) imaging exams makes use of iodinated and barium based contrast agents, whereas, Gadolinium-based contrast agents are preferred in MRI (Magnetic Resonance Imaging). These substances improve the reporting or accuracy of how internal structures of body are working and any associated abnormalities. Ultrasound scans makes use of special contrast agents called microbubbles which strongly interact with the ultrasound beam and enhances the details of heart, liver and kidney. 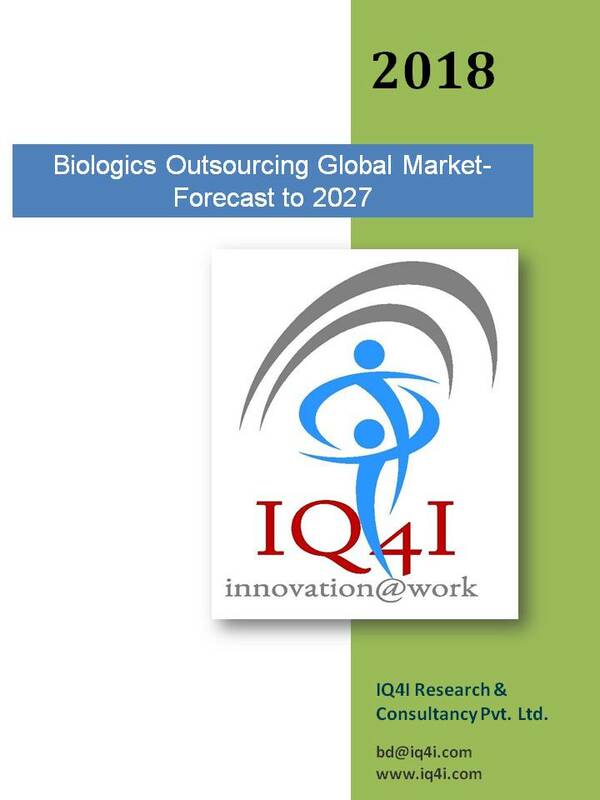 As estimated by IQ4I Research, the contrast Agents global market is estimated to reach $6,879.0 million by 2025. The contrast agent global market by molecule is segmented into Iodine based [Ionic (Monomeric and Dimeric), Non-Ionic (Monomeric and Dimeric)], Gadolinium-based contrast agents [Macrocyclic (Ionic and Non-Ionic), Linear (Ionic and Non-Ionic)], microbubble based contrast agent and others which include Barium, iron and dyes. Iodine-based contrast agent market held the largest market revenue in 2018 and microbubble segment is growing rapidly at double digit CAGR from 2018 to 2025 due to expansion in disease indications. Based on ionicity, the Iodine-based contrast agent is segmented into ionic and non-ionic. Non-Ionic Iodine-based contrast agent market accounted the largest share. Non-ionic iodine contrast agents are used more because of lower osmolality, they are better tolerated and another advantage is that, they appear to have less toxicity. Ionic Iodine based contrasts are further segmented by its chemical structure into monomers and dimers. Monomers market accounted for the largest share. Non-Ionic Iodine based contrasts are further segmented by its chemical structure into monomeric and dimeric. Monomerics market accounted the largest share as they are safer and tolerable when compared to ionic contrast agent and low osmolar agents do not dissociate into a particle in solution and helps in reducing the neurotoxicity. The contrast agents market by modality is segmented into X-Ray/CT, MRI and Ultrasound. X-Ray/CT market held the largest market revenue in 2018 and ultrasound segment is growing rapidly at double digit CAGR from 2018 to 2025 due to increased use in diagnostic procedures especially echocardiography, focal liver lesions and ultrasonography of urinary tract. The contrast agents market by applications is segmented into cardiovascular, cancer, gastrointestinal, musculoskeletal, neurology, nephrology, obstetrics & gynecology, urology and others which include neck, liver and salivary gland imaging. Cardiovascular market accounted for the largest share and is the fastest growing market from 2018 to 2025 due to increase in a number of cardiac imaging procedures using Iodine, Gadolinium and microbubble contrast agents. Contrast agents market by route of administration is segmented into intravascular, oral, rectal and others which include intraosseous, intrathecal and intravesicle. Intravascular route of administration accounted for largest share and is the fastest growing market due to increase in incidence and prevalence of cardiovascular, cancer, neurology, nephrology related conditions which require Iodine, Gadolinium and microbubble contrast agent to be administered intravascular. Contrast agents market by imaging is segmented into diagnostic and interventional imaging. Diagnostic imaging market held the largest market revenue and interventional imaging segment is growing at fast/rapidly at double digit CAGR from 2018 to 2025 due to increase in image guide procedures and increase in aging population who usually opt minimally invasive procedures. Contrast agents market based on the end-user market is segmented into hospitals, diagnostic & ambulatory surgical centers and other which include academic and research institutes. Hospitals market accounted largest share in 2018 as there is a rise in demand for the diagnosis and interventional treatment of diseases using CT or X-Ray, MRI and ultrasound imaging procedures. Diagnostic & Ambulatory surgical centers is the fastest growing segment with mid single digit CAGR from 2018 to 2025 due to increase in number of diagnostic procedures related to musculoskeletal (arthroscopy, imaging of spine), gastrointestinal (imaging of abdomen, GI tract) and obstetrics & gynecology (hysterosalpingography). Geographical wise, North America region commanded the largest revenue in 2018. Favorable reimbursement coverage and increase in incidence and prevalence of diseases conditions due to change in lifestyle, obesity has led the market growth in this region. However, Asia-Pacific region is the second leading market for contrast agents and is expected to grow at mid single CAGR from 2018 to 2025 due to increased healthcare awareness, economic growth, large patient pool and rising aged population. The contrast agent global market is a competitive market and all the existing players in this market are involved in developing new and advanced products to maintain their market shares and also acquiring companies for product expansion. Some of the key players of the contrast agent market are GE Company (GE Healthcare) (U.S.), Bayer Group (Germany), Guerbet (France), Taejoon Pharm Co. Ltd., (South Korea), Beijing Beilu Pharmaceuticals Company Limited (China), Bracco Group (Italy), Fujifilm Holding Corporation (Japan), Sanochemia Pharmazeutika AG (Austria), Dongkook Lifescience (Korea), Lantheus medical imaging (U.S.) and Fujipharma Co. Ltd (Japan). 3.3.2.1 SIDE EFFECT ASSOCIATED WITH CONTRAST AGENTS. 3.3.2.4 STRINGENT REGULATIONS FOR CONTRAST AGENTS. 12.9 LANTHEUS MEDICAL IMAGING INC. FIGURE 134 SWOT: BEIJING BEILU PHARMACEUTICAL CO., LTD. FIGURE 141 SWOT: LANTHEUS MEDICAL IMAGING INC. FIGURE 143 SWOT: TAEJOON PHARM CO., LTD.
4 BIEM İLAÇ SAN. AND TIC, INC.